This past February, after an engaging advocacy workshop at the Women and the Environment Symposium, a West Michigan Environmental Action Council volunteer, Julie Dolegowski, came up with an idea for a new way to engage the community and those interested in a platform for environmental advocacy: a book club. “I came back to Michigan after working in Arizona for the National Parks Service… so I was reading a lot of environmental books. When I came back, I wanted to continue that… so I figured, I can’t be the only one who loves this,” Dolegowski says. Dolegowski is a recent graduate of Aquinas College, and says one of the workshop’s breakout sessions on advocacy inspired her to take the step to bring the idea to WMEAC. The then college senior emailed Hannah Mico, WMEAC’s community outreach contractor, and set the club in motion. The club held its first meeting in April, and has met monthly since. 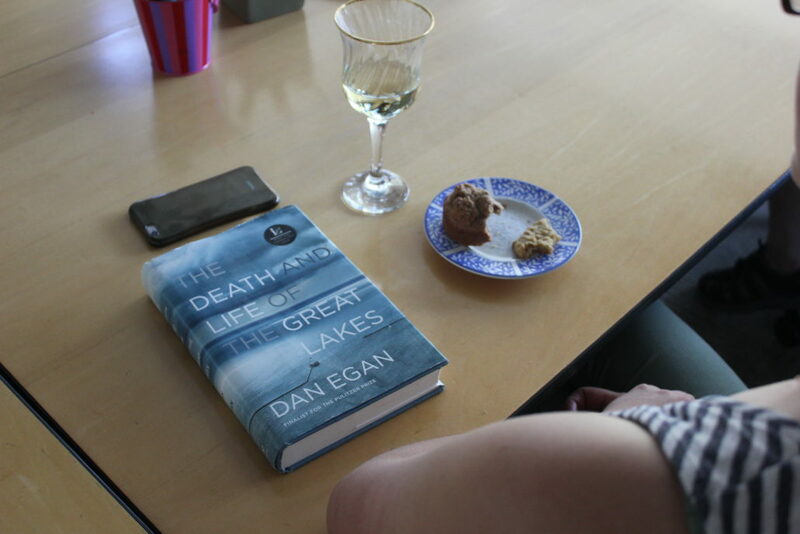 The club is beginning to read its third book now, after completing A Sand County Almanac by Aldo Leopold, and Dan Egan’s The Death and Life of the Great Lakes. Book selection is a relatively democratic process – members, new and old, are welcome to pitch books to the club. So far, the club has attracted an evolving group of about eight to 15 people, including an architect, professor, retirees, recent college grads, involved community members and parents, and more. Some attend monthly meetings, while some choose to follow along and offer insight via the Facebook page and email. Members range in career path and motivation for joining, but they all have one thing in common: they care about the environment, and want to see change. Advocate they do. 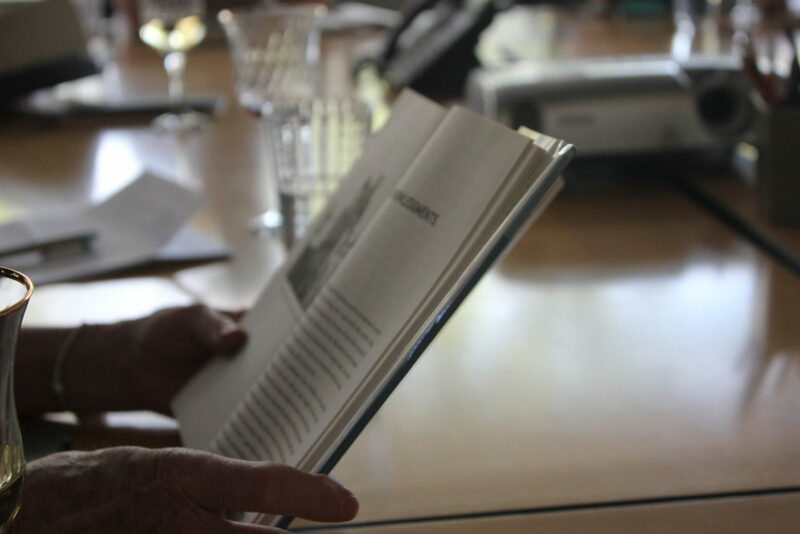 At the June meeting, members arrived with pages of notes, earmarked books and thought-provoking questions that left the group in spurts of passionate discussion and contemplative silence. At one point, the group discussion turned to finding solutions to the problems that plague the Lakes. “The thing is,” one member says, “we don’t know what we don’t know.” The other members murmur in agreement. In this area, Mico says, the group provides some comfort. “You think, this is community issue, not a personal issue. 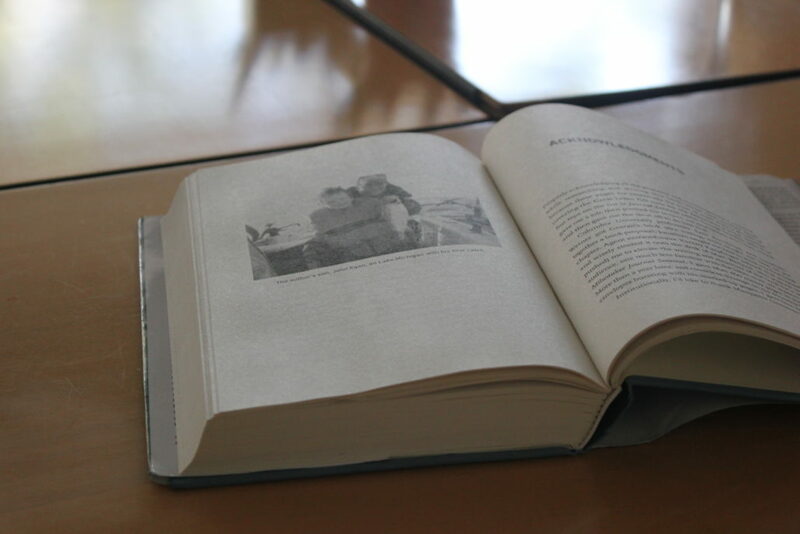 It helps to share thoughts and feelings on the things we read about.” The book club offers a stimulating, discussion based learning environment, but it also establishes itself as a place for members to brainstorm and plan their own action and involvement in issues of their choice. With a book list over 40 books long and new options added every month, the WMEAC book club has a long life ahead of it. “I was looking for something that I could do, and others gravitated toward it. So I was right, I wasn’t the only one.” Dolegowski says. Learn more about the WMEAC book club here. I enjoyed the discussion on Jerry Dennis’ The Living Great Lakes, Wednesday, July 12. Participants offered fine responses to the book and were respectful of various perspectives. I look forward to future meetings! Check out the recommended book by Peter Wohlleben, The Hidden Life of Trees. What They Fell, How They Communicate. The chapters are filled with beautiful description and questions. As an example: “If trees are capable of learning (and you can see they are just by observing them), then the question becomes: Where do they store what they have learned, and how do they access this information? After all, they don’t have brains to function as databases and manage process” (47). Later, “…when trees are really thirsty, they begin to scream” (48). You may never look at trees the same way again, after you read this book.